This could be described as being in Grangegorman. 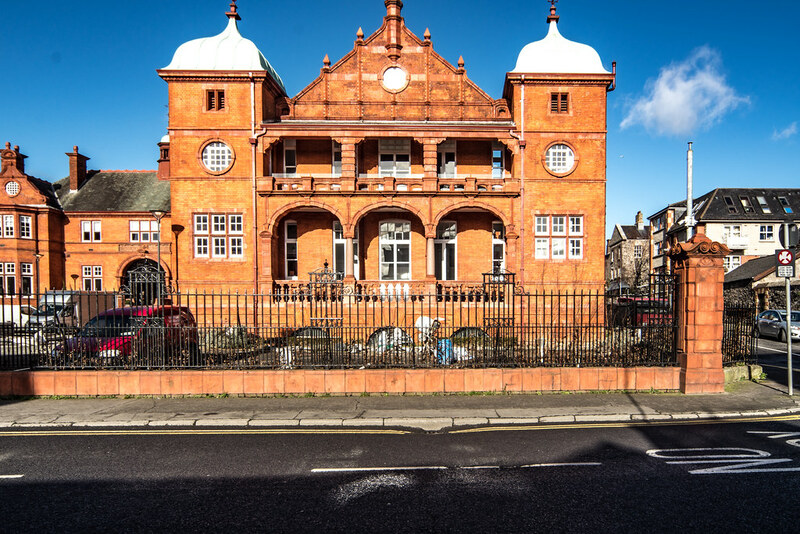 The Richmond originally formed part of a complex of three hospitals – the others were the Whitworth and Hardwick – collectively known as St Laurence’s. In 1994, the Richmond and Whitworth hospitals were converted into business centres and a self-storage facility. In 1996 The Richmond was leased by the Government for use as District courts. 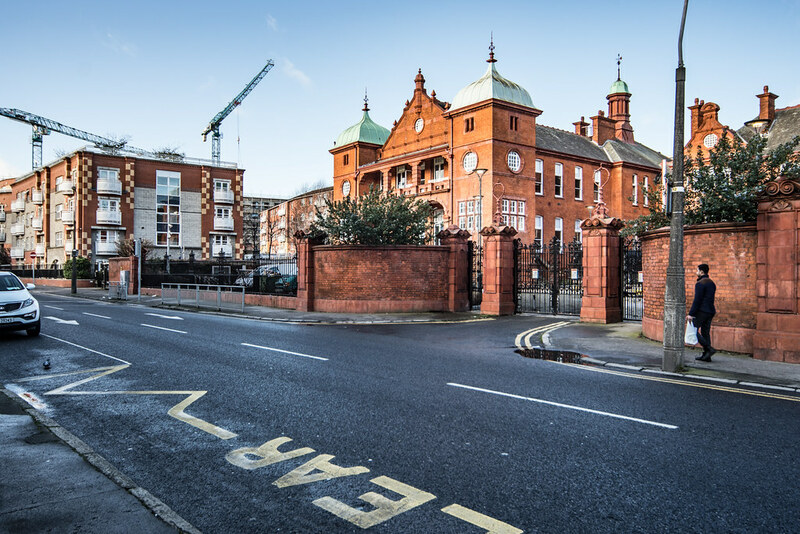 The building housed five of the Dublin District Courts until the opening of the new Criminal Courts of Justice. 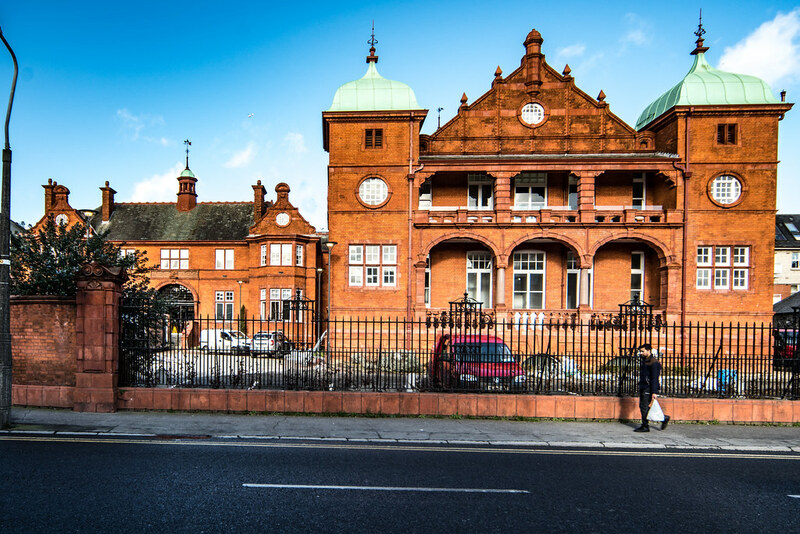 In January 2014 it was announced that the building had been acquired by the Irish Nurses and Midwives’ Organisation (INMO) for use as an education and event centre. However, it appears to be unoccupied at present with some construction work ongoing. 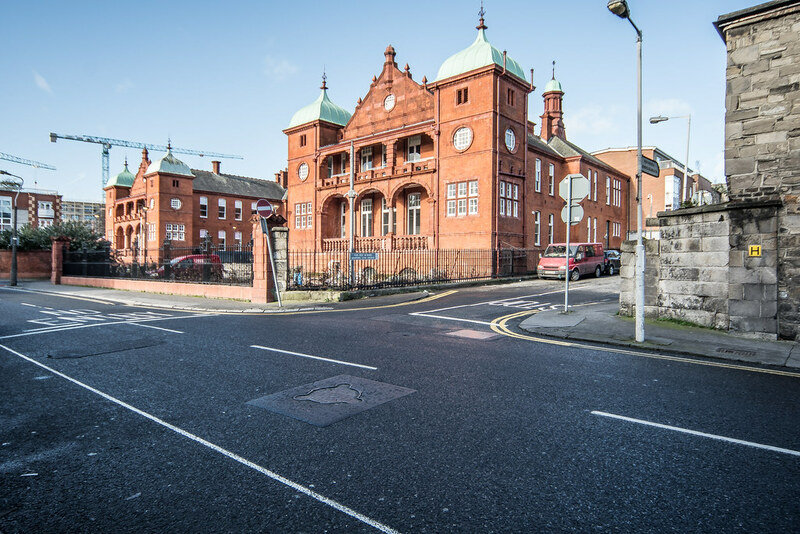 In July 2016 I came across the following statement by the INMO - "I now wish to confirm that the refurbishment works, on the Richmond Building, will commence shortly and will take a little under six months to complete. 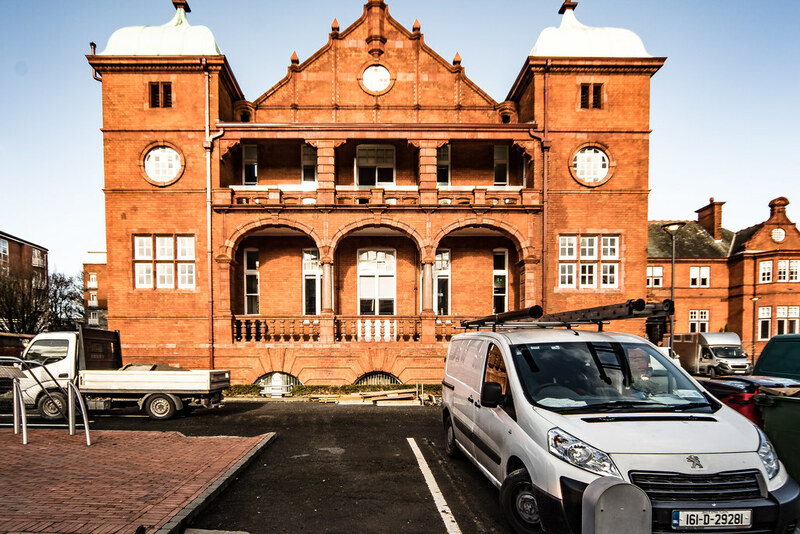 The refurbishment works are designed to provide the Organisation with an Education and Event Centre that will allow us to greatly expand the full range of professional, educational, industrial relations and other courses that we provide to members on an ongoing basis."